Greg Latta is a mesmerizing singer, songwriter, and award winning performer on the hammered dulcimer, banjo, guitar, ukulele, Irish bouzouki, cittern, harmonica, recorder, Appalachian dulcimer, Northumbrian smallpipes, uilleann pipes,and keyboard. Greg is a three time winner of the prestigious Maryland State Arts Council Individual Artist Award in Solo Music Performance, having won in 2012, 2015, and 2018. A hammered dulcimer virtuoso and champion, he is a three time winner of the Mid-Eastern hammered dulcimer championships and has twice been a runner up in the National Hammered Dulcimer Championships held at Winfield, Kansas. As an award winning banjo player, Greg is the runner up in the 2014 Mid-Atlantic banjo championships and was the 2013 Mid-Atlantic banjo champion. He has won second or third place five years in a row at the banjo competitions held in Friendsville, MD. His banjo style is a unique combination of traditional bluegrass, old-timey, melodic, and contemporary styles. He has even been known to let a Beatles tune or two slip out on the banjo! Greg performs an eclectic mix of carefully chosen Irish, traditional and contemporary folk, Broadway, bluegrass, and original music. His repertoire includes original works, old coal mining songs, whaling songs, contemporary and traditional topical songs, and children's songs, to name just a few. His diverse performances have included a private performance for the Hungarian Presidential Cabinet, and performances at the US Olympic Canoeing and Kayaking Trials, the Rocky Gap Country Bluegrass Festival, the Garrett Lakes Arts Festival, numerous school performances, and a performance with the prestigious modern dance company Dance Alloy of Pittsburgh celebrating the centennial of Frostburg State University. Greg is a finger style guitar player who has played guitar nearly his entire life. He plays both 6 and 12 string guitars, and open tunings on the 12 string guitar are a particular specialty of his. Greg Latta's has released three recordings, "Headed for Home", "My Favourite Things", and “Singer/Songwriter/Multi-instrumentalist”. With a total running time of over 60 minutes, "Headed for Home" is an acoustic tour de force featuring vocals and instruments such as the 6 and 12 string guitar, hammered dulcimer, recorder, harmonica, Appalachian dulcimer, and electric bass guitar. The album also includes unusual sound effects and percussion instruments such as the Mexican rain stick. 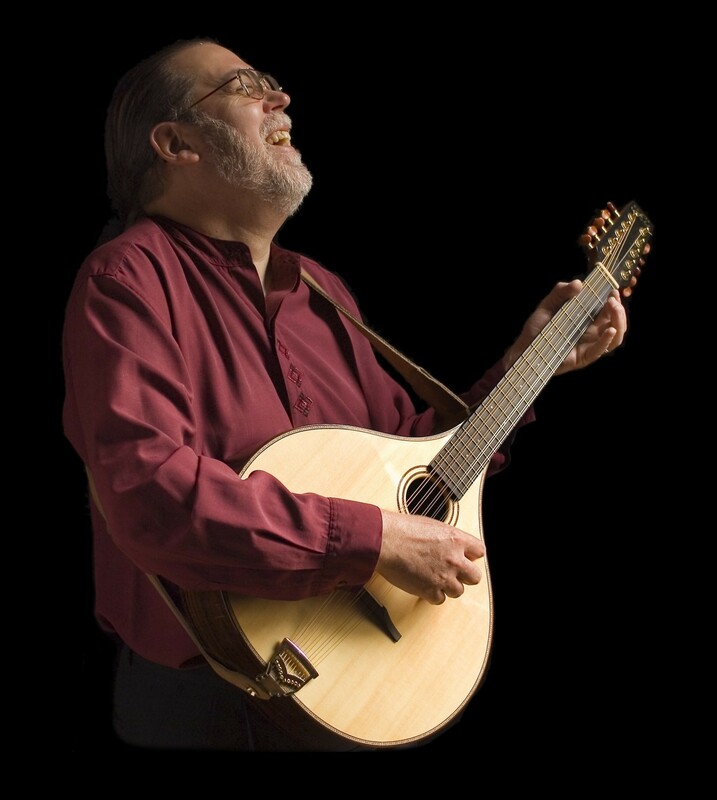 The fine mandolin playing of Frostburg musician Randy Bandura is also featured on several selections. The album features 6 original works by Greg and 9 other works, some traditional, others by composers such as Lerner and Loewe, Jean Ritchie, Ewan McColl, David Olney, and Tim DeFrange. "My Favourite Things", is a collection of hammered dulcimer solos featuring both standard and soprano hammered dulcimers. His eclectic tastes are reflected in the variety of styles that appear on the recording. Broadway tunes, traditional and contemporary Irish tunes, a traditional American tune, an ancient Galician, or Spanish piece, plus his arrangements of a Rossini theme, a Finnish polka, and a Beatles tune, "Here Comes the Sun" are on the album. He has also included his own composition "Mid-Spring". Greg is currently working on a fourth recording, which will be released this year. Greg is accredited as a Visiting Performer in the Maryland State Arts Council Artists in Education program. In addition to his stage performances and recordings Greg is also host and producer of the popular radio show "Just Plain Folks", which can be heard Saturday afternoons on WFWM - 91.9 FM, the Frostburg State University public radio station. He is also a member of the Frostburg State University faculty.